These violent delights have violent ends And in their triumph die, like fire and powder, Which, as they kiss, consume. --William Shakespeare, Romeo and Juliet Tristan Coleman has survived the change from Clann magic user to vampire, much to Savannah Colbert's joy--and despair. By changing the Clann's golden boy and newly elected leader, even to save him from death, she has unleashed a fury of hatred and fear that they cannot escape. 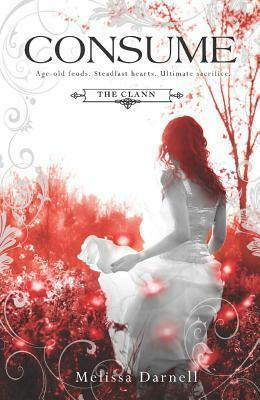 As the Clann and the vampire council go to war, Tristan and Sav face a new threat--a fracturing of the all-consuming bond they share. To fight for peace, they must forge a new trust and risk everything to take down their deadliest enemy, even as they must run for their lives. Soon they will learn that some bonds are stronger than love--and some battles cannot be won without sacrifice. Melissa Darnell is the author of a growing list of adult and YA fiction and nonfiction books. Born in California, she grew up in East Texas and has also lived in Utah, West Virginia, Louisiana, Alabama, Kentucky, and Iowa. She currently lives in South Dakota with her husband and two children where she enjoys watching Whale Wars, UFC matches and True Blood, trying out new hair colors, and designing things for the virtual world of Second Life. Visit her on the Web at www.melissadarnell.com.